After working on the 3D rose yesterday I decided to take a break and make something easy. 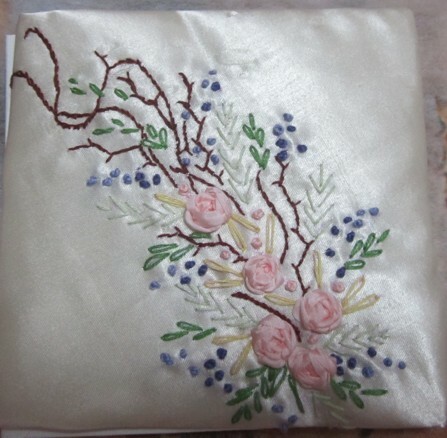 In a pile of finished embroideries I found a piece of satin that had an iron-on transfer from the book "Ribbon Embroidery" by J. Marsha Michler. So I decided to embroider a ready made pattern. Instead of using ribbons I used regular cotton floss for everything but the roses in the center. The roses were my favorite, spider roses, made with 7mm pink ribbon. I was bad and didn't make the back very neat. There were some large knots from using six strands of floss to make french knot buds. 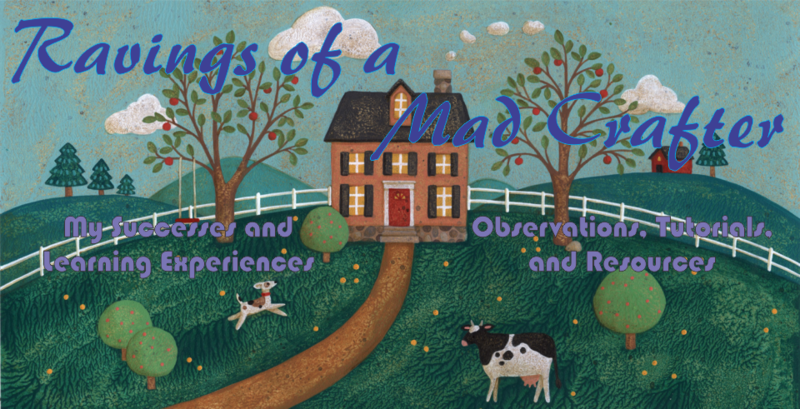 Then something awful happened! When I was adjusting the satin in the frame I developed runs in the fabric. That has never happened before! So I had to use the fabric carefully to get around the runs. Here is a picture of the finished embroidery. 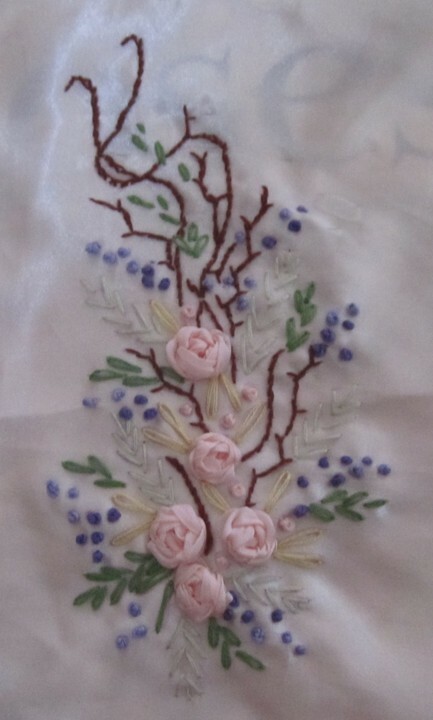 Another view of the embroidery. After playing with the piece I came up with two ideas. 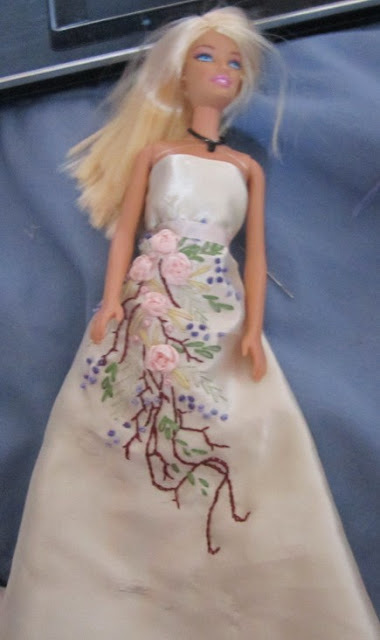 First to make a dress for Barbie. Barbie wearing the embroidery as a simple dress. This was so pretty but the damage to the fabric couldn't be gotten around. 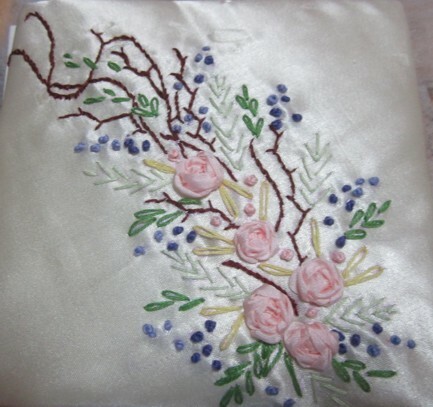 I am considering embroidering another design but a lot neater this time. This could count as one of 12 outfits for Barbie I am going to make this year. The other idea was to make a book cover with a 5 x 5 inch canvas I bought the other day. So this will be the cover for a Valentine book I was planning. The embroidery was so long it had to be set on the diagonal and it came out very nice. The cover was padded first so that the knots and threads on the back wouldn't show as much. Very different from the Valentine collage book last year.